Classes, and guidance (individual and group programs) and products for your best function, healthy, youthful aging, and feel good fitness. Are you ready to create the positive and lasting change you are seeking in your fitness and wellness? Let’s talk about your next step. Schedule a complimentary appointment today to discuss your unique path. Find my Nia and NiaBasics movement fitness classes, currently in Foxboro, Franklin, North Attleboro, and Millis, Massachusetts. Designing and practicing conscious alignment with subtle control and better coordination increases your body’s capacity to perform all of your activities safely and powerfully. You will also develop the five keys to functional fitness: flexibility, agility, mobility, strength, and stability. Find the inspiration and guidance you seek, and reach out for more specific support that I can provide. Why Nia & Ageless Grace? Healing, powerful mind, body, and soul medicine, and really fun workouts (work-ins?) in YOUR body’s way. Movement for health, for joy, for life. MARCIA COAKLEY teaches Nia classes in the Metrowest Boston area. Come find your groove, better fitness, the joy in moving your body, Your Body’s Way. Reach out to me for movement, functional ease, and posture awareness personal training. Get moving: for health, self- expression, self-discovery, release, creativity, cognitive training, neuroplasticity enhancement. Experience all of this, on top of the brain and body fitness that you know is so good for you, and that your body is seeking. conditioning. 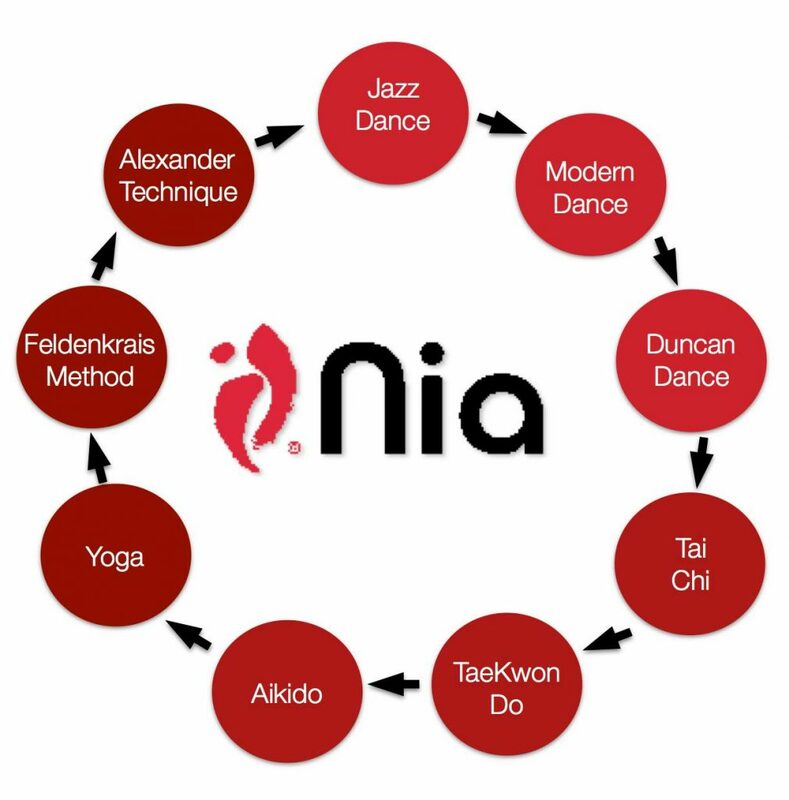 Nia combines martial arts power; easy to learn dance movements and patterns; alignment, strength, flexibility work from yoga, and powerful mind/body integration (all levels). Nia Basics is an Active Older Adult session (AOA) Nia Basics class, a gradual building of intensity, new skills, and complexity. 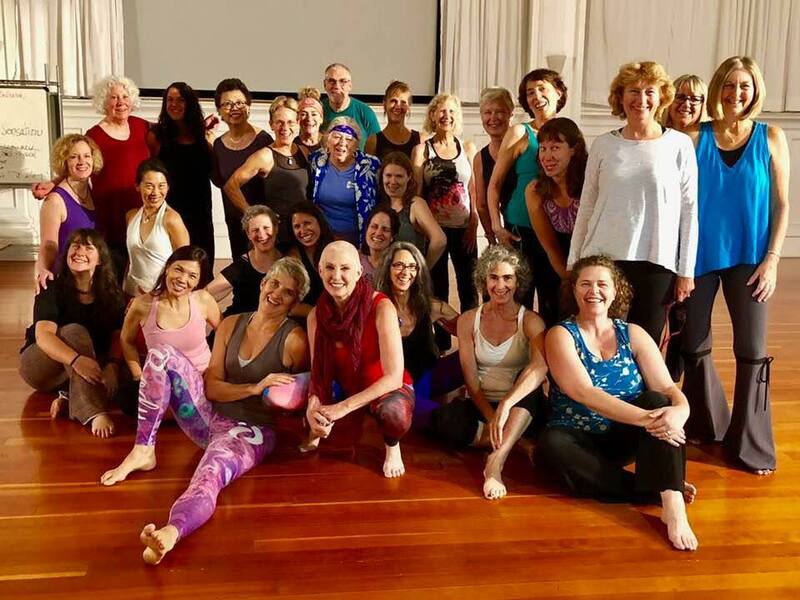 This is an introductory Nia class, welcoming to those who are new to or returning to exercise, learning new-to-you Nia 52Moves, movement vocabulary. Move at your level, learn where you are, all are welcome (all levels). Something for everyone to get moving.